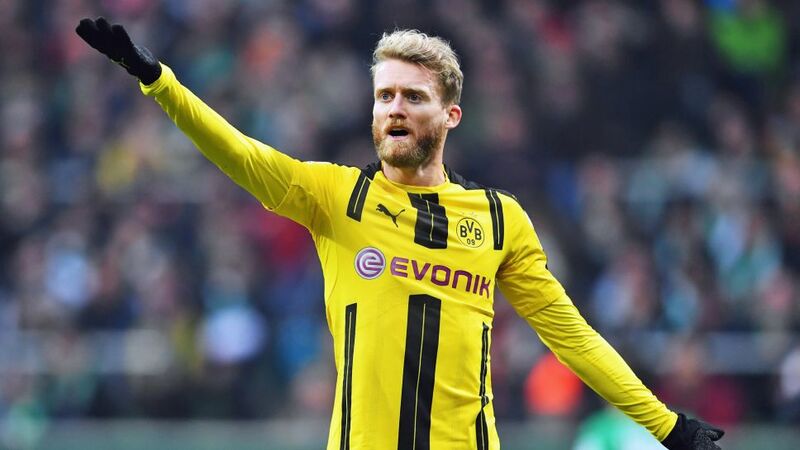 Andre Schürrle scored his first league goal of the season for Dortmund against Bremen on Matchday 17. Andre Schürrle put in arguably his best Bundesliga performance of the season so far in Borussia Dortmund's hard-fought 2-1 win against SV Werder Bremen on Matchday 17. Schürrle earned 14 Official Fantasy Bundesliga points on Matchday 17 - sign him up now! The 2014 FIFA World Cup winner opened the scoring after only five minutes at the Weser Stadium, capitalising on a defensive error to slot past Jaroslav Drobny. The attacking midfielder - who was playing up front in the absence of Pierre-Emerick Aubameyang - came close to a second goal only six minutes later and was heavily involved throughout as BVB eventually claimed a deserved victory. "I'm back to where I want to be," Schürrle said afterwards. Vote Schürrle for #BLMVP on our Twitter channel now! Schürrle scored his first Bundesliga goal for Dortmund on Matchday 17.The 26-year-old fired in seven shots during the match, more than double any other player.He also won 12 tackles, more than any Dortmund player apart from Christian Pulisic (also 12). Head to the Bremen vs Dortmund match centre for more on this fixture.